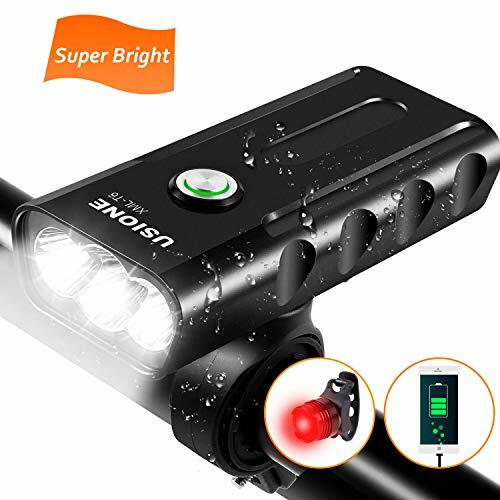 ULTRA BRIGHT 1000 LUMENS TO ENSURE MAXIMUM SAFTY ON THE ROAD. Comes with free LED rear light to keep you safe 360 degree. * SUPER BRIGHT & DURABLE – Light your way up to 300 meters, making you visible miles away. 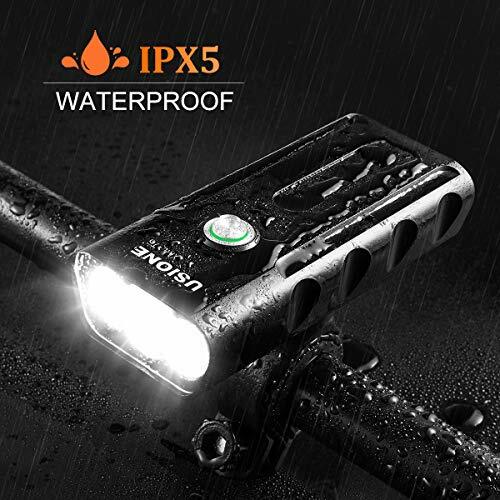 IPX5 Rated waterproof, meaning 100% covered if you get caught in the rain. 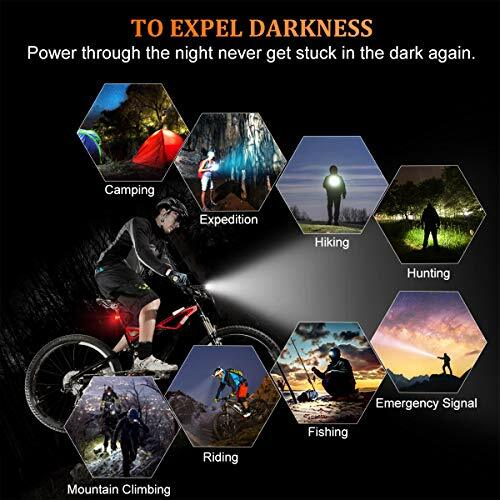 * MULTIFUNCTION – It’s more than lights for bikes riding at night. 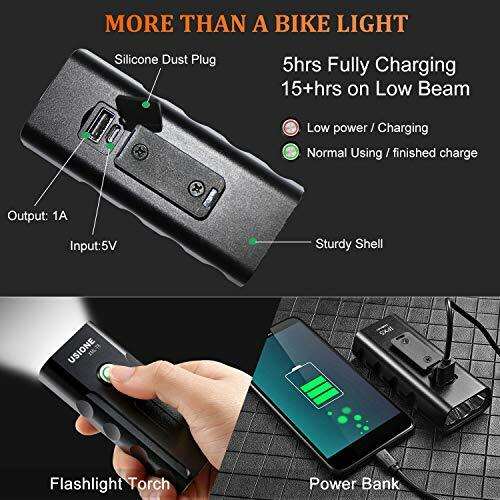 Also can be used for a wide range of activities: mountain biking, road biking, city commuting, Hybrid Bikes, kids bikes, as well as a regular flash light & power bank. * SMART CHARGING – 5hrs charging time, automatic over charge & discharge cut-off system, smart charging ensures battery longevity. 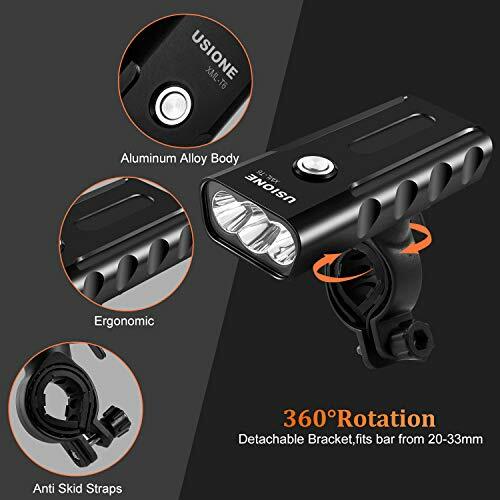 ⚡ULTRA BRIGHT_3 LED 1000 LUMENS OUTPUT: Three T6 lamps makes the bike front light ultra bright which up to 1000 Lumens to ensure maximum safety on the road. It is great for night riding. And the night lights for bicycle will light your way up to 400feet, making your visible Miles away! You will be shocked and amazed at how bright it is! GET YOURS NOW! ⚡MORE THAN A BIKE LIGHT, ALSO FLASHLIGHT & POWER BANK: It’s more than a light for bike. This bicycle light could be used as an emergency flashlight, keep it inside your car, basement, and emergency kit. Use it when you’re jogging, hiking, camping, walking your dog, cycling, changing a tire, night time family/kids activities and MORE! 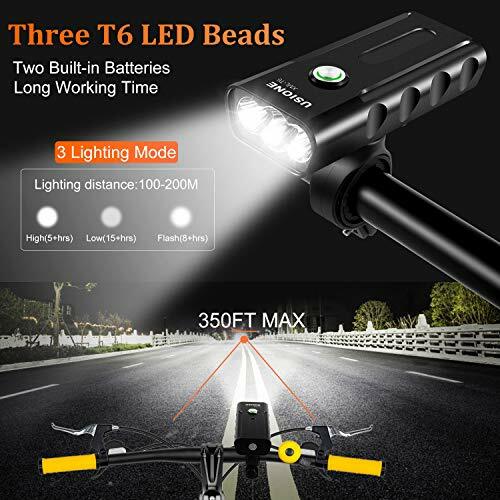 This bike lights could also be used for charging your cell phone, IPAD or camera any where. ⚡STURDY_SOLID MATERIALS: The LED bike lamp is made of solid aluminum and reflector by rugged ABS plastic. It won’t rust or corrode and the aluminum alloy housing has good heat dissipation. This cycling light bundle will not only keep you safe and illuminate your path,it will also last longer. 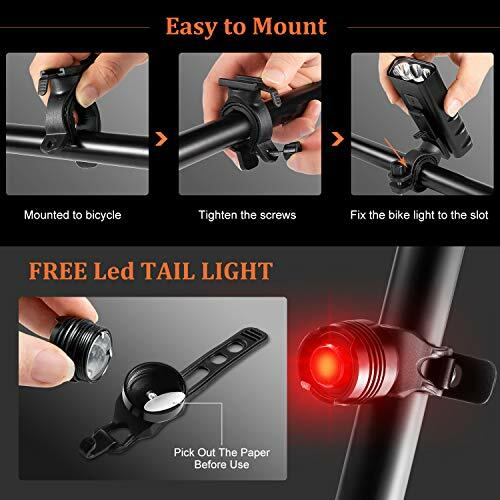 ⚡EASY TO MOUNT & REMOVE_3 STEP INSTALLATION: Each bike light combo set comes with 2 different sized rubber bands to make the bicycle light will fit a wide range of handlebar diameters(20MM-33MM). They can be easily loosen and fasten, and no tools are required.